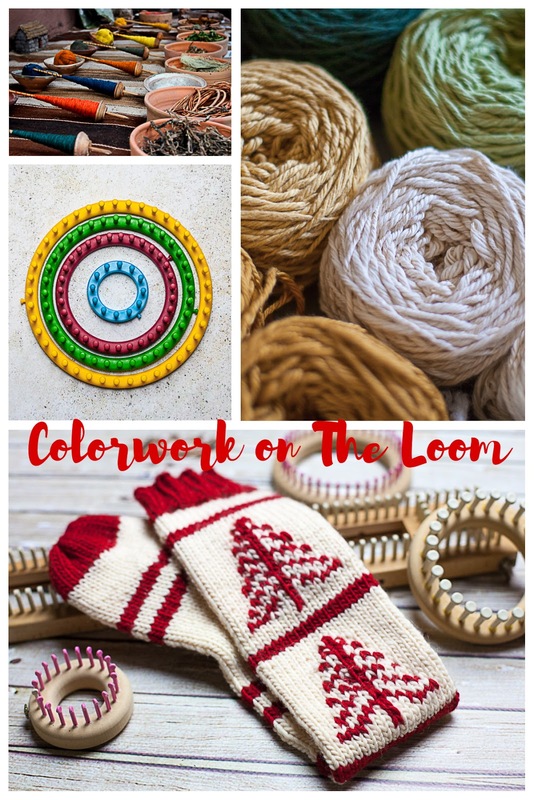 How to Loom Knit Intarsia | Loom Knitting by This Moment is Good! Hello loom knitters and welcome to our color series! This is topic 3, Intarsia. This is the 3rd in a series of blog posts and accompanying videos, pictures discussing different methods of using color in your loom knitting. Check back for future articles or subscribe to our mailing list to be the first notified of the new posts in this series. This post is about Fair Isle loom knitting. Topic 2: Fix the jog! Bonus! How to Fix the jog when knitting stripes. Simply put, Intarsia is picture knitting. Argyle was the first known pattern using the Intarsia method. In the 1500's it was used for kilts and footwear in Scotland. In later decades, it has been adapted to include a vast array of shapes and has come a long way from just argyle! 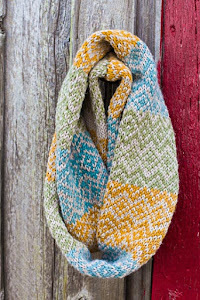 Here's a tip, you can also do argyle as stranded knitting...see our post on Fair Isle. Do I carry my yarn along the back of my knitting like in Fair Isle? 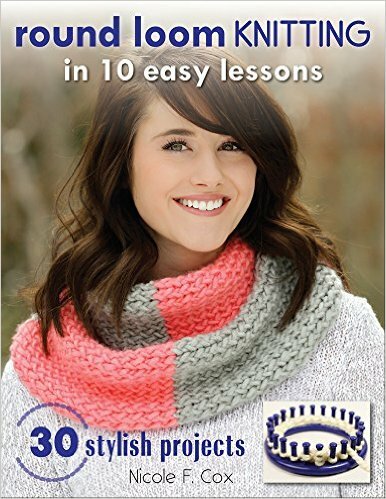 No, when doing Intarsia, you use separate balls of yarn and do not carry your yarn. The Intarsia picture is knit in an isolated position within your project. Is Intarsia hard on the loom? No, it's quite easy. If you can twist and untwist yarn strands, read a chart/pattern and do the regular knit stitch then you can do Intarsia. How do I work Intarsia so that I don't have gaps in my fabric? You work Intarsia just like you do large vertical blocks of color. Whenever your main yarn meets up with the Intarsia area, you twist your yarns together, joining them and eliminating gaps. How to Twist The Yarn. The only difference is that you will be following a chart instead of doing straight lines. What types of things can I knit in Intarsia? The picture can be of anything that you can chart, geometric shapes, hearts, silhouettes, names, etc. See the heart chart below. 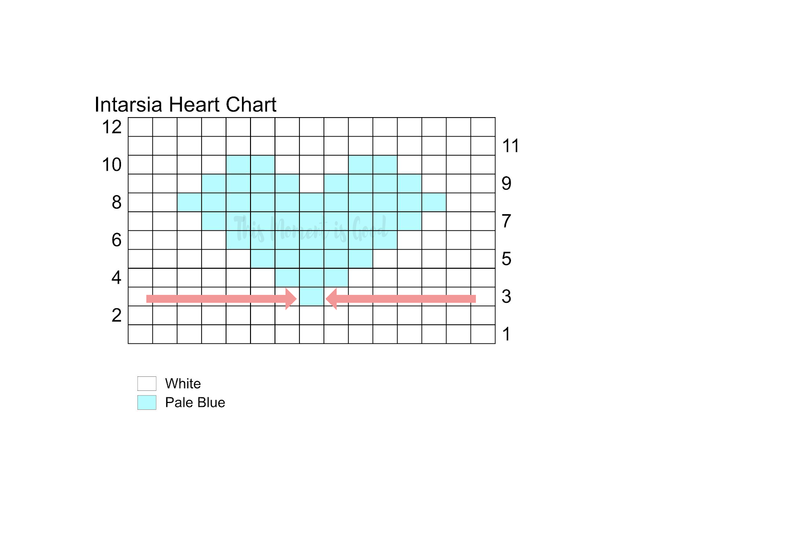 The blue area is knit separately from the white area with the exception of the top of the heart where there is white (you would make a small ball of yarn to knit this area, it is considered part of the picture). Where the white and blue areas meet you would twist your yarn and turn to go in the opposite direction with each separate color. Keep an eye on your yarn threads and make sure they do not become overly twisted or they will become difficult to manage. 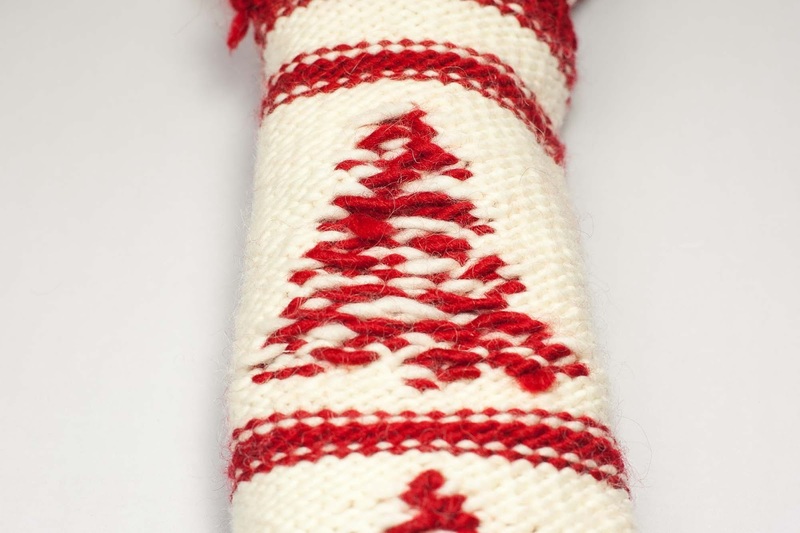 In Intarsia, the white yarn for the main knitting area is NOT carried over the blue area. You change directions and knit flat, in the opposite direction, after twisting your yarn together. Once the blue area is finished, your picture or Intarsia is finished. Resume knitting as you normally would when you are not working Intarsia. What will the back of my knitting look like? It will look like the picture below. The full picture is knit in an isolated area but because the outside border yarn was twisted together with the Intarsia yarn, it forms one whole piece. 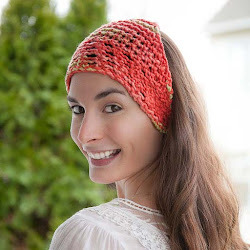 Do you see how the picture yarn (red is easiest to see) was not carried around the project? It's a cool effect that makes your picture really stand out! I'm glad you've joined me for this color series and hope you are feeling more confident about trying these color techniques on the loom. Please leave any questions below so that I can continue to improve my blog posts. Thank you Michele, I just know we'll be seeing Intarsia designs from you soon. Your Fair Isle work is lovely. There's just not enough hours in each day! This is so lovely! I love trying new things on the loom, and I really love fair isle and intarsia kitting. I'm so excited to try some out soon! Do you happen to have any videos showing this?